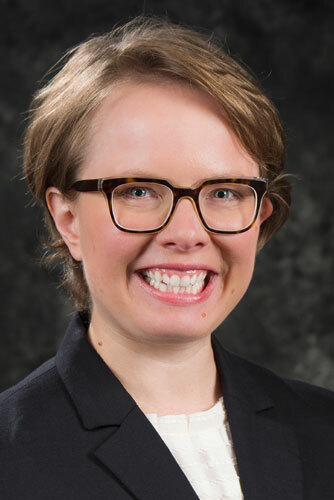 Anna Czarples is focused on getting her injured clients the best possible result from the insurance company, even if that means going to court. Attorney Czarples has obtained six-figure verdicts for her clients at jury trials in our local area. Attorney Czarples is licensed to practice in both New York and Pennsylvania. She also frequently practices in federal court, being admitted to the Western and Northern Districts of New York. Attorney Czarples will go to bat for you over any type of insurance claim case — whether it's a car or motorcycle crash, products liability, tractor trailer collision, fall on property, medical or dental malpractice, dog bite injury, or other personal injury claim. She also litigates damage to property claims. 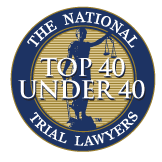 Attorney Czarples is a "Top 40 Under 40" civil litigation attorney twice by the National Trial Lawyers. Membership is extended solely to the select few of the most qualified attorneys from each state who demonstrate superior qualifications of leadership, reputation, influence, stature, and public profile measure by objective and uniformly applied standards. 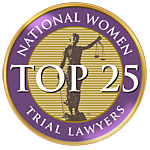 The National Trial Lawyers also recognized Attorney Czarples as a "Top 25" Medical Malpractice Attorney for 2017, and a "Top 25" female trial attorney in 2018. Attorney Czarples was selected as a "Top 10 Under 40" Personal Injury Attorney by the by the National Academy of Personal Injury Attorneys. Attorney Czarples is very close to her family and enjoys spending time with them. She is also a very competitive person by nature and an avid fan of the Buffalo Bills, Buffalo Sabres, the US Women's Soccer Team, and other sporting events. She currently serves on the CareFirst Ethics Board and is an active volunteer for the Red Cross. Previous Article Michael Donlon, Esq. Next Article Megan Collins, Esq.